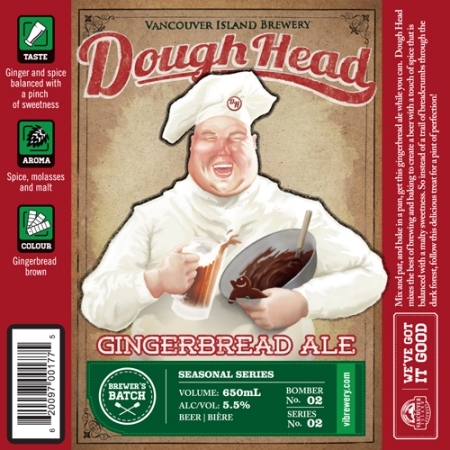 VICTORIA, BC – Vancouver Island Brewery has announced the upcoming return of two popular winter seasonal brews. The 2013 editions of both beers will be officially launched with an open house event at the brewery on Saturday November 23rd from 1:00 to 4:00 PM. 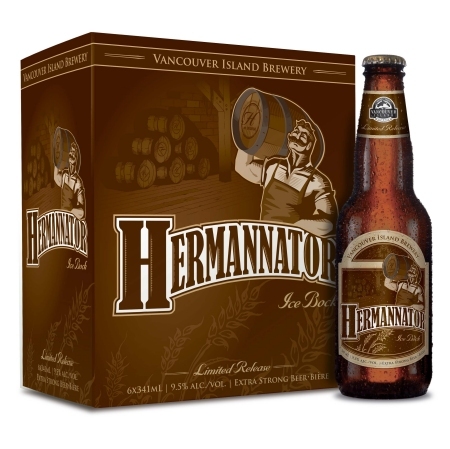 Samples of both beers will be served, and a limited number of 650 ml wax-dipped bottles of Hermannator will be available for purchase, along with the regular 6-pack edition of Hermannator and 650 ml bottles of Dough Head.